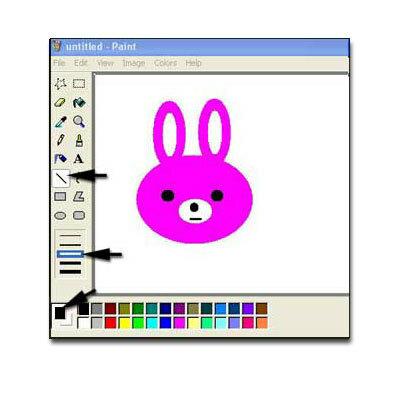 This is the third of a series of nine easy to follow lessons where you can learn to draw in MS Paint. 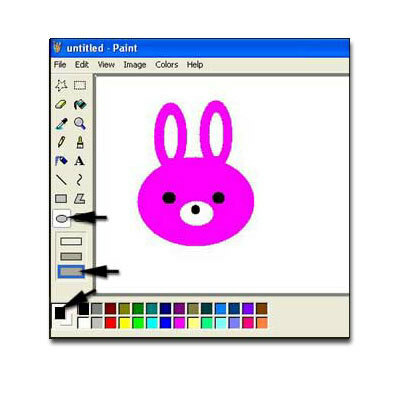 We will make a Rabbit. 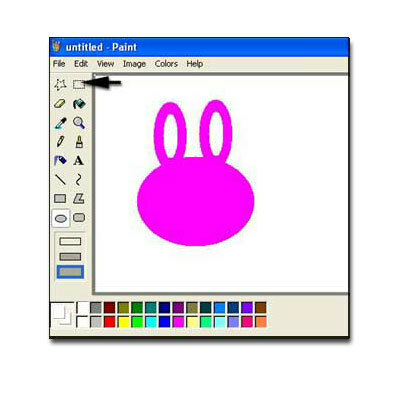 Select a color for your rabbit. Make elongated shapes for the head and ear. You can undo any mistake by pressing Ctrl Z or going to Edit/Undo in the Edit menu. 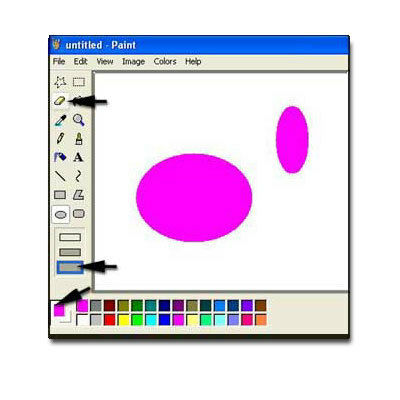 Choose another color and make an ellipse for the ear inset. 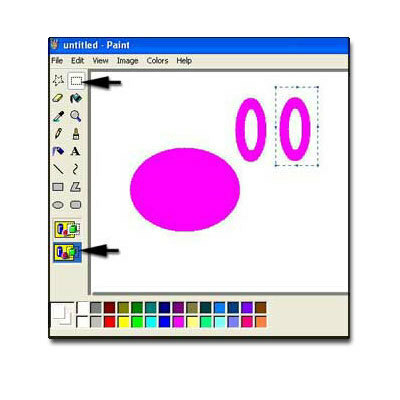 Choose the Select tool, transparent background function and select the ear. A blue dotted box will appear around it. If you wave your cursor over the selection box, you will see the cursor change to four arrows. It looks like a cross with arrowheads. This means you can now move your selection by clicking and dragging. Press Ctrl while click and dragging the selection. This will copy and move your ear. While the ear is selected, move it where it should be and release the click to place it. Select the other ear and move into place. 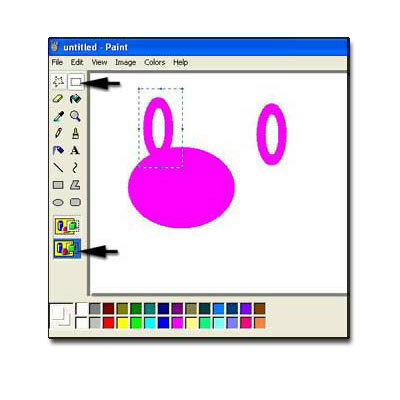 Choose the Ellipse tool and a color and make the eyes and nose. Make the mouth. Choose the Line tool and a thickness for it. Make a short line for the mouth. Time to make more! 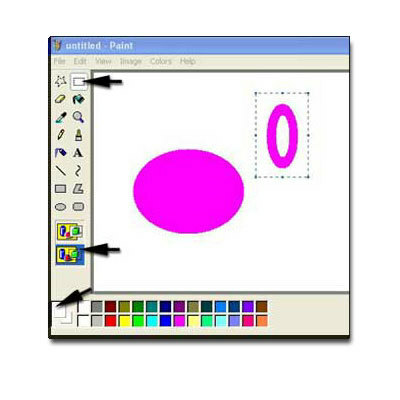 Choose the Select tool and transparent background function. 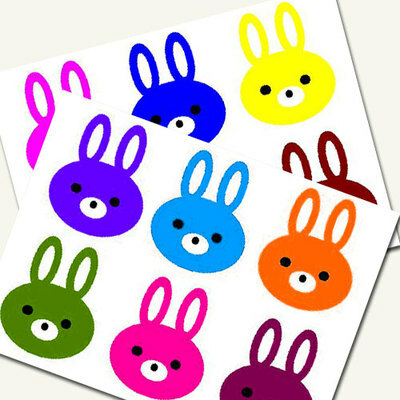 Select your rabbit. 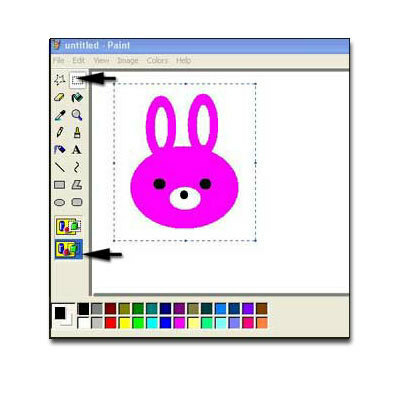 Holding the Ctrl key, click and drag your rabbit to make as many copies as you wish. 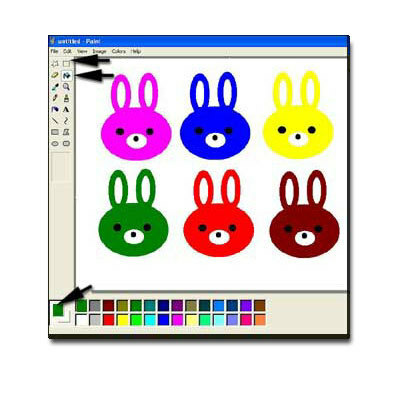 Select the Bucket tool and new foreground colors to make the rabbits different from each other. Just click in the parts you want to change with your new color.